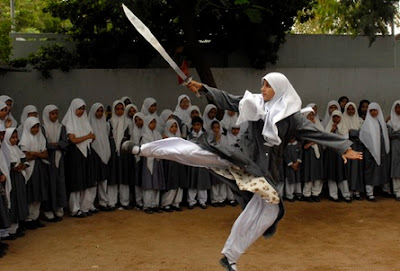 The incredible acrobatic skills, tenacity, and awareness in hijab clad small teenage girls surprise any martial art aficionado. A considerably reputed school in Hyderabad, school girls practices Chinese ancient martial art Wushu, touching the feats of Shaolin warriors. 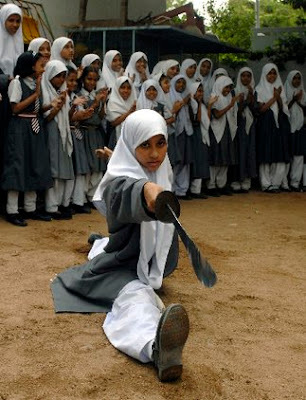 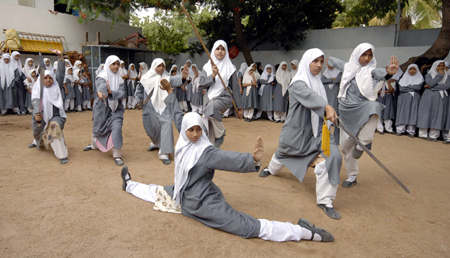 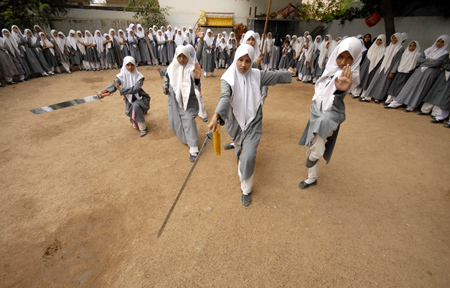 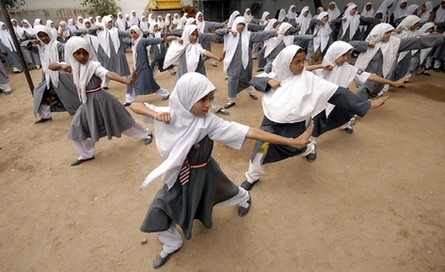 St. Maaz high school in Hyderabad is not only reputed for its strict discipline and academic excellence but also surprised people for its singular stance for sports where Muslim schoolgirls practice Vietnam Vovinam martial arts. A bunch of girls clad in traditional hijab ages 10 to 16 participate in weekly session of traditional Wushu martial art. 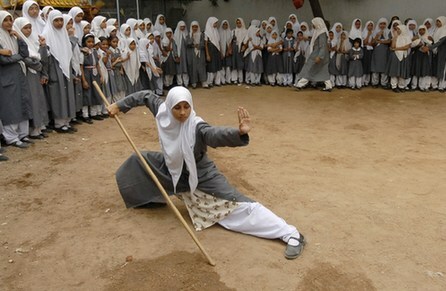 Let us see some of the extraordinary snaps captured during their practice session.